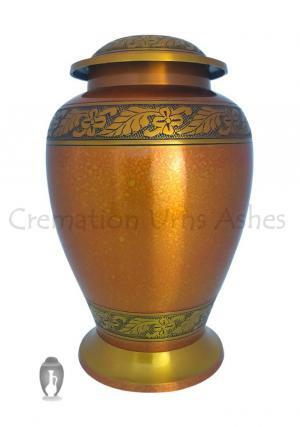 Bright Copper Leaf Cremation Urn for ashes made of brass metal with bright copper speckle finish and engravings of floral leaves of band around the urn and at the base. 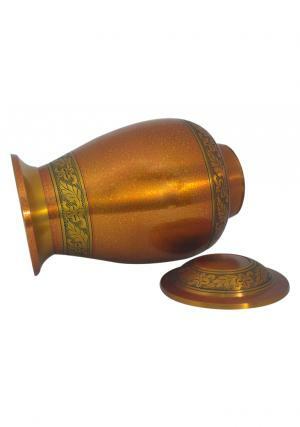 The metallic finish shines against the floral band. 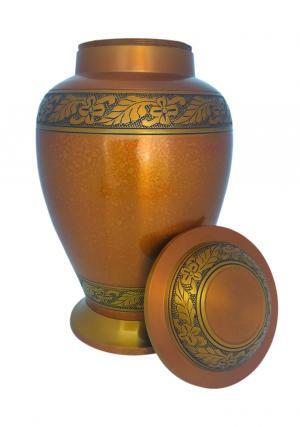 Copper Leaf floral Memorial urn has a flat ned lid with centered mount top covered in floral and leaves band in brass. 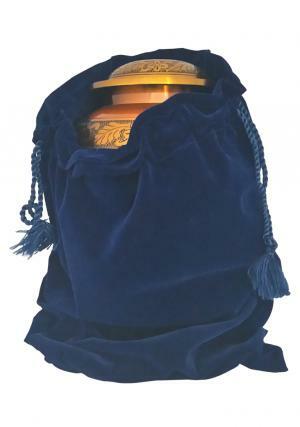 The lid is decorated with screw threadings to secure the ashes of the loved one’s after cremation. 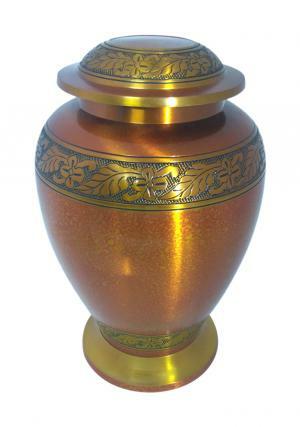 The Copper Leaf Brass Funeral urn of ashes has a measured dimensions of 10.24 inch tall that weighs 2.15 kg and width of 6.7 inch capable of holding large adult ashes with volume space of 200 cubic inch.